Groundsmen responsible for some of the UK’s finest football grounds and other sporting venues have been benefiting throughout the season from information shared by Plater Bio’s Technical Director, Dr Russell Sharp. 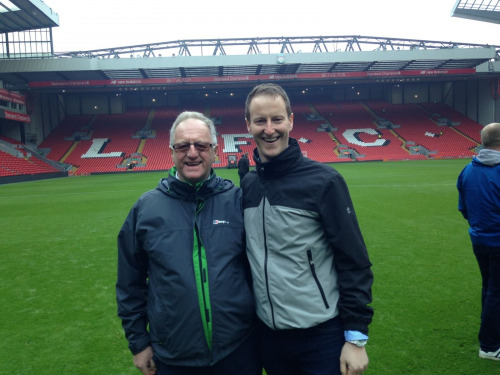 His talk on ‘Biorational Fertilizer’ and soil biology was heard by to groundsmen from around the sports industry in an event hosted by Precision Microbes at Anfield Stadium, the home of Liverpool Football Club. Russell shared the key features groundsmen should look for in a fertilizer that can promote the growth of beneficial microbes and how these can help to keep the grounds they care for in top condition throughout the year. Russell is experienced in both plant science and the agrochemical industry and now focuses on the fertilizer and bio-stimulants sector. If you would like more information or to invite Dr Sharp to be a guest speaker at your event, please get in touch.